We are three former Indiana University field hockey players who want to help grow the game of field hockey in the state of Indiana. Our goal is to teach young athletes the game of field hockey in hopes that it will ignite enough interest to start a club team that will compete against other teams in the midwest. Audra Heilman was raised in Easton, PA where her passion for field hockey was ignited for the first time in 8th grade. Heilman continued her field hockey career at Indiana University, until she graduated in 2015 with a major in Elementary Education, and a minor in Psychology. Prior to concluding her field hockey career she became a 2x All-American, All-American Academic Honors, West All Region Team, 3x Big Ten Offensive Player of the week, and a 3x All Big Ten Team member. Heilman played primarily in the midfield, but senior year transitioned into a forward. Heilman also has extensive experience with USA Field Hockey, including being a member of the U21 National Team. She currently resides in Carmel, Indiana and is living out her dream of teaching 5th grade math at Westfield Intermediate School. ​Gaby graduated from Indiana University, Bloomington in 2014 and played 4 years on the Varsity Field Hockey team as a forward. She was born and raised in Lehman, Pennsylvania where her love for the game of field hockey started in middle school and took her all the way to the Hoosier State for her collegiate years. Currently, she is in her last year of law school in Indianapolis focusing on sports and health law. 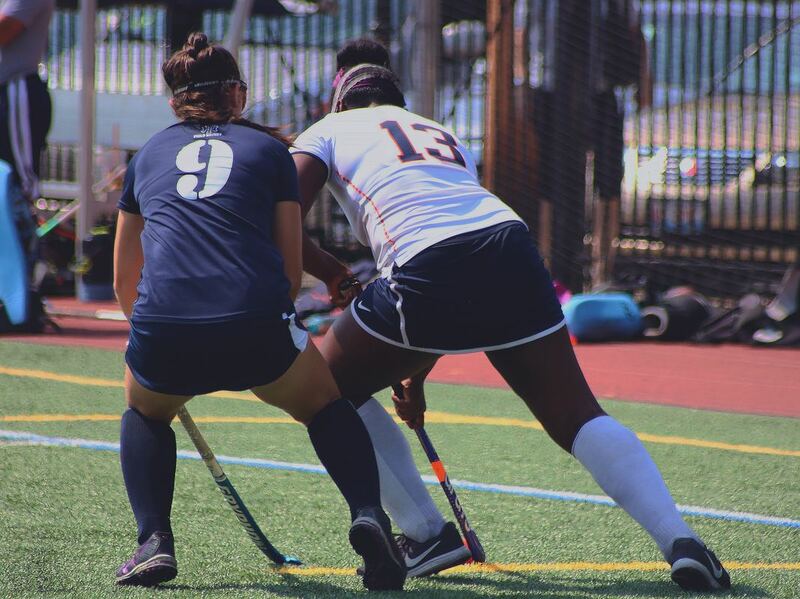 Danielle grew up in Ocean City, NJ and first started participating in field hockey clinics in grade school and joined the high school team her Freshman year. Since then, field hockey has been the primary sport in Danielle’s life. Danielle continued her field hockey career at Indiana University where she started and played in all 72 games of her collegiate career. Her senior season she was named as a 2013 Player to Watch and All Big Ten Tournament Team. After college Danielle went on to play overseas for the Ulster Elks in Belfast, Ireland where she helped them win their first ever Irish Senior Cup. Currently, Danielle is living and working in Indianapolis for Upper Hand Sports software. ​Molly McCue was born and raised in Pittsburgh, PA. She started playing field hockey in 8th grade and continued to play in high school and at Denison University in Granville, Ohio. While at Denison, Molly was named to the All-NCAC team three times and to the All-Region team her senior year. Since Denison, Molly has coached at DePauw University in Greencastle, IN as well as at the elementary, middle, and club levels in Cleveland, OH. During her time at DePauw, the team advanced to the NCAA Division III National Quarterfinals and Semi-finals. Coaching is an important part of Molly's life and she values her time coaching field hockey, basketball, and lacrosse. Currently, Molly lives in Zionsville and is a 7th grade teacher at The Orchard School. "I have been involved with field hockey for over half of my life. As a player and as a coach I have learned so many valuable lessons and made life-long friends. I am happy to be a part of growing the game in Indiana and helping others to experience all the wonderful things that field hockey can offer. I love seeing players develop and grow their love for the game!" Karen grew up in Barcelona, Spain where she began playing field hockey at age 6. She regularly played in both the regional and national teams, and participated in the EuroHockey Club Champions Cup in the Netherlands in 2011. At the age of 18, Karen was recruited to play field hockey at Indiana University. She graduated from IU in 2016 with a bachelor of science in neuroscience. Karen’s versatile skills helped the team by playing multiple positions on the field; she started her collegiate career as a defender but progressively moved to the forward line. Karen was awarded Academic All-Big Ten and National Academic Squad distinctions in each year of her four year career. During her senior year, Karen was recognized with the Hoosier Award for bringing honor to IU. Currently, Karen lives in Indianapolis and is employed as a clinical research coordinator in the pediatric ICU at Riley Children’s Hospital.